World Design Consortium is interested in design of Eco Sustainable Projects, Environment Friendly Designs, Bio-degradable Products and similar projects for interested parties. Please kindly contact WDC for Sustainable Products, Projects and Green Design consultancy, tenders, jobs, offers and requests. Below, displaying an award winning project by P/18482712. 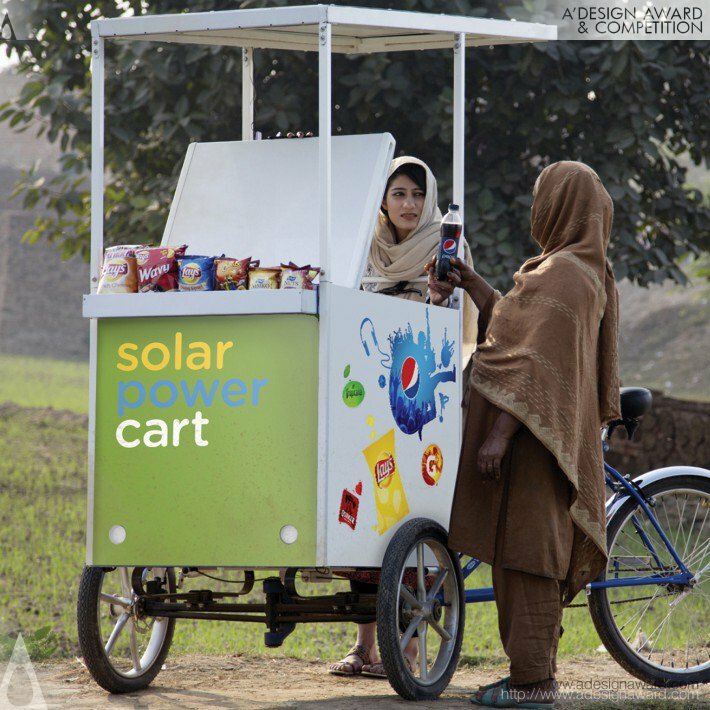 Addressing the problems of an unreliable power grid in many parts of the world and the inaccessibility of cold beverages PepsiCo’s solution came in the form of a vending cart, using a sustainable power source, solar panels, to power the cooler and packaging it in a way that would allow transportation to urban or inaccessible areas. 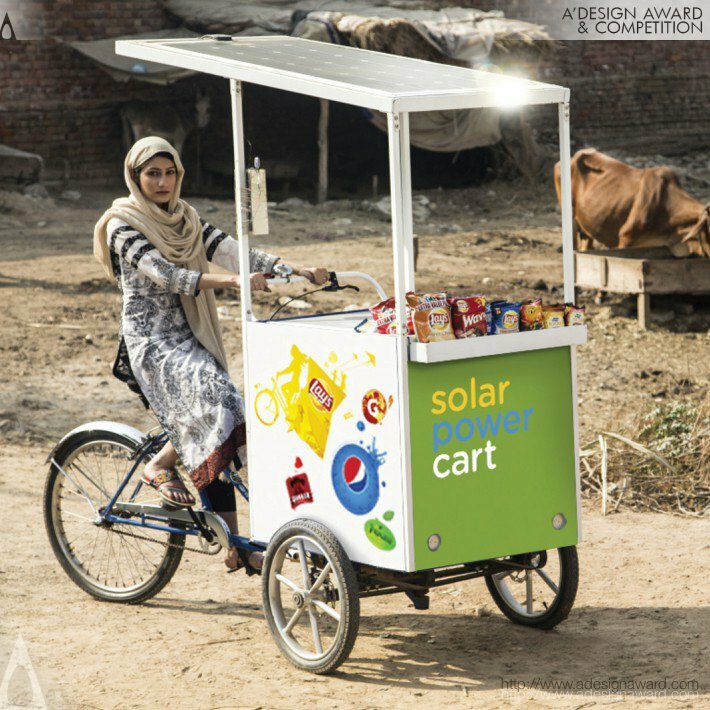 The delivery system developed, uses a stock tricycle design, an extremely minimal steel frame design which can be fabricated locally. 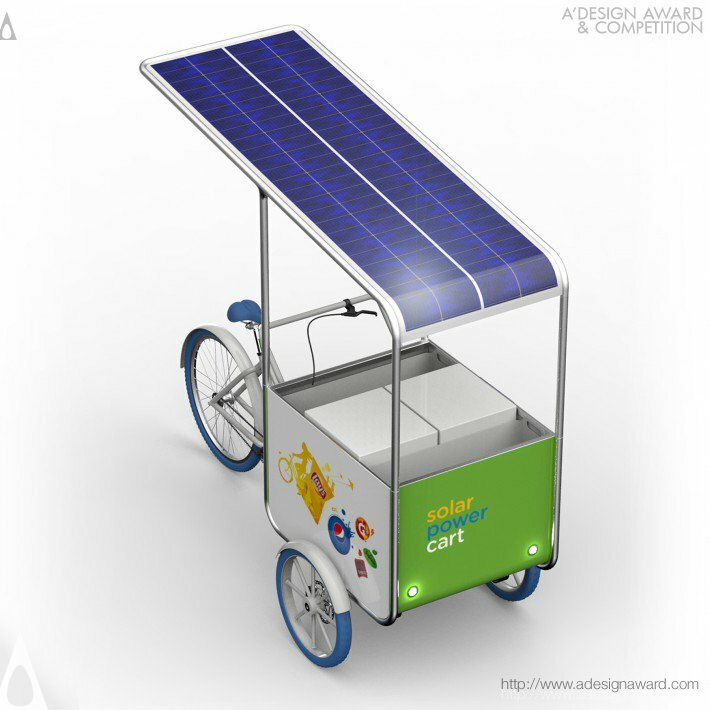 If you wish to have a very good vending cart solar cooler design, please contact our secretariat and indicate that you wish to work with P/18482712 for your vending cart solar cooler project. We will process your request immediately and forward your requirements to P/18482712. 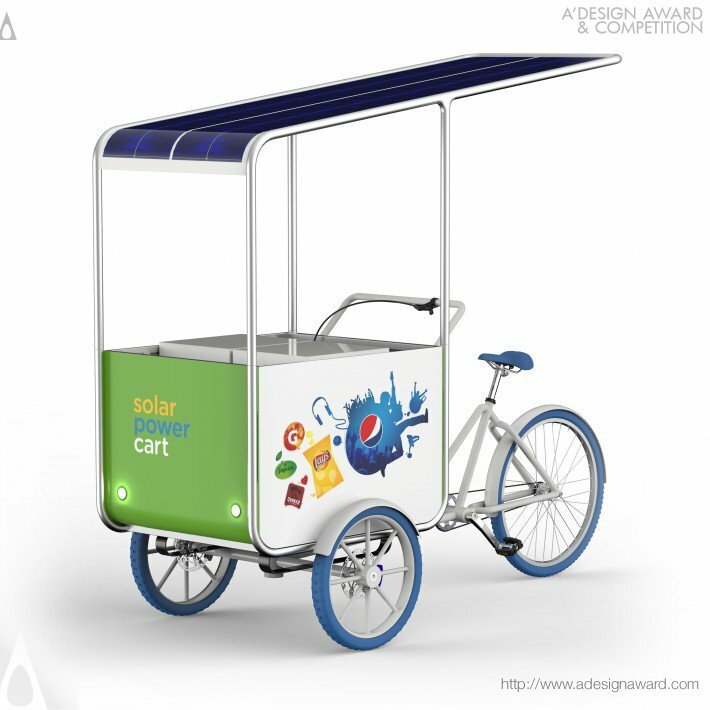 Request Consultancy for vending cart solar cooler design by P/18482712.